In audiobook two, there is a thief about. Purses and jewellery are missing in the North Tower. Meanwhile Darrell is caught in the middle when her friend Sally is made head girl instead of Alicia. Will they find the thief, and will Alicia and Sally make up? There's drama at Malory Towers! I was 8 years old when I read these books first. I have re read this story many times over the years.. 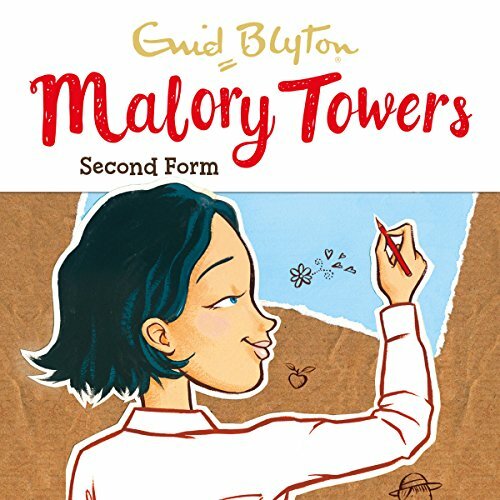 I still want to go to a boarding school called Malory Towers... in Cornwall... these books help teach the principles of living a blessed life... how to get on with others... read with your children ... children, read with your parents ... Enjoy! I love that these books are finally available unabridged. I always enjoyed British boarding school stories. The only thing better would be having all books in the series available. I enjoyed a wide range of sub plots . I enjoyed a wide range of sub plots brought well together. I love the changes of form head. I love this book it is one of the best books I have ever read. There is lot's of mischief in the second form that term. Also if you you like Enid blyton or you want to try her book's. I recommend Mallory Towers.